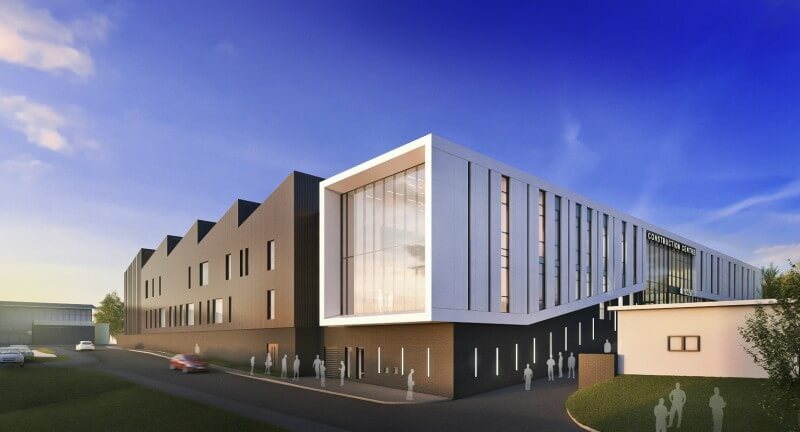 Work is well underway on the new £10.8 million Construction Centre at Barnsley College’s Honeywell campus. The new centre will open to students in September 2015, providing brand new, state of the art facilities for study in a range of construction trades, including brickwork, wall and floor tiling, plumbing, plastering, joinery, painting and decorating and technician studies. The Centre will house innovative and inspiring work areas with industry lead equipment, providing a high quality learning experience for students. Facilities will include new workshops, classrooms and machinery incorporating a comprehensive IT network, supported by industry standard software; a project workshop for new construction technologies; break out areas allowing students to work independently and dedicated student support encouraging positive progression into employment or further study. Philip Harris, Head of Construction at the college, said: “The new Construction Centre at Barnsley College will provide world class training and facilities for local people to obtain the necessary skills and attributes in order to meet the significant growing demand in work opportunities, which also addresses the skills shortage in the sector. The college has received an Enhanced Renewal Grants (ERG) from the Skills Funding Agency (SFA) covering a third of the cost of the project. For more information about the college’s Construction courses, visit our Open Evening on Thursday 15 January 2015 (6.00pm-8.00pm), call 01226 216 123 or email info@barnsley.ac.uk.